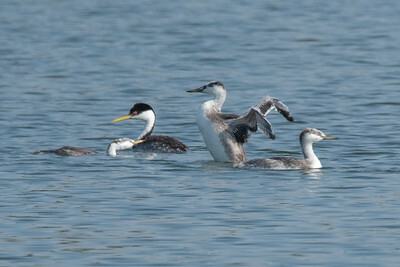 Western Grebe with three large chicks. 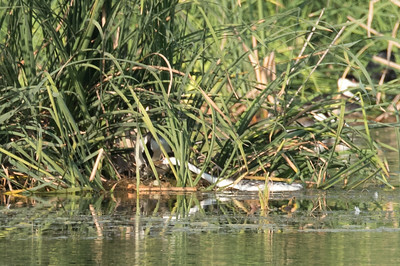 Pair of Clark's Grebes nesting amongst bulrushes. 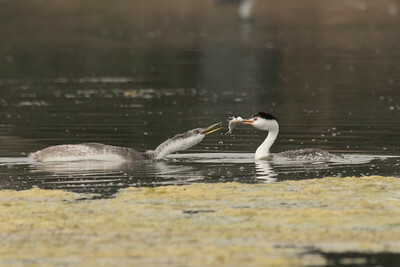 Just kidding, Clark's Grebe offereing a fish to its chick right before pulling away and swimming off with the fish. 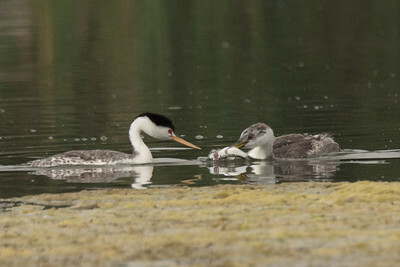 Clark's Grebe feeding a fish to its chick. 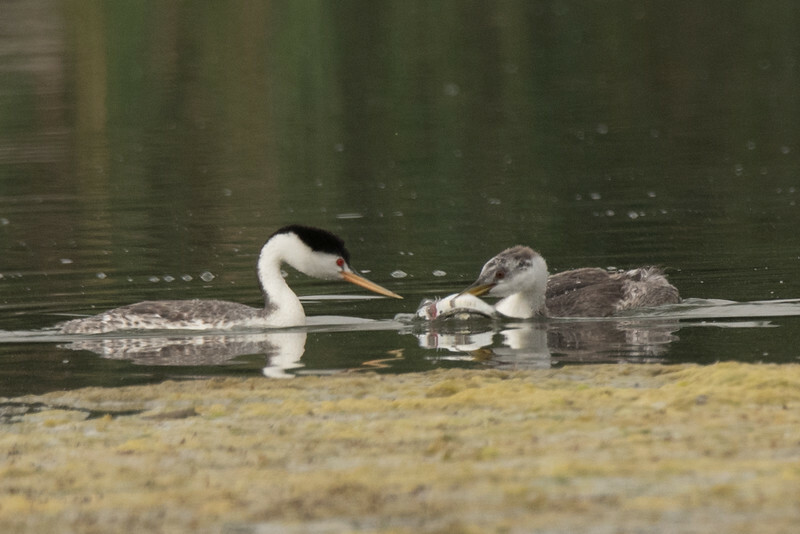 This was the fourth time the parent offered the fish to the chick, on the previous three, the parent turned away at the last moment and swam off. 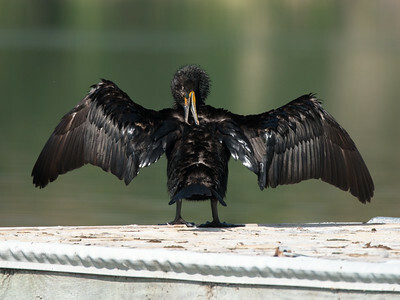 Double -crested Cormorant drying on the boat dock. 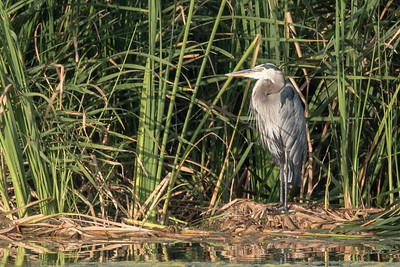 Great Blue Heron at rest. 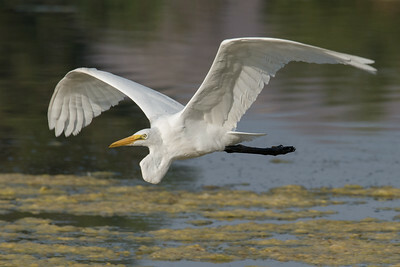 Great Egret flying above the lake. 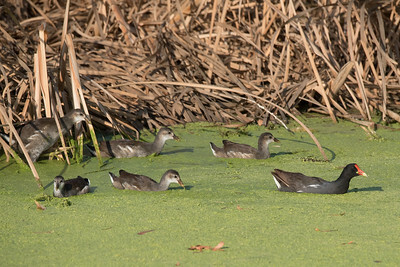 A Common Gallinule with six large chicks. 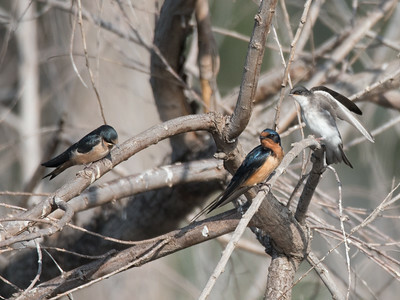 The chicks were feeding themselves, but were still following the parent wherever she went. 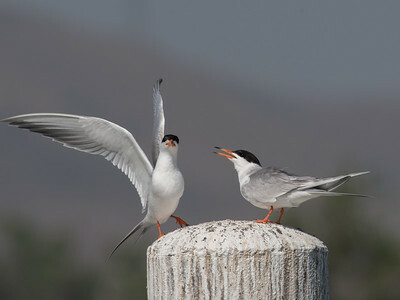 The chick was perching on the buoy calling at every Adult that passed, this time it apparently called in its parent. 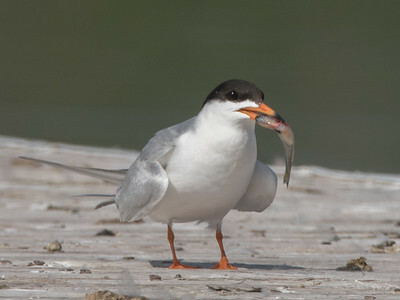 Forster's Tern adult with a fish. 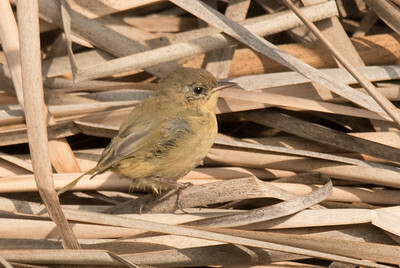 Multiple chicks were located on a dock. 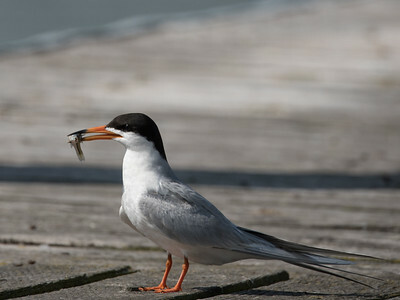 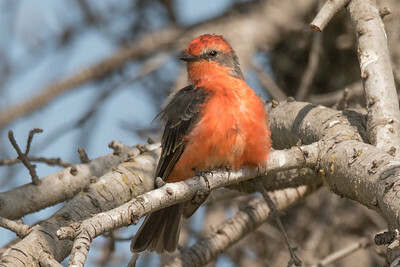 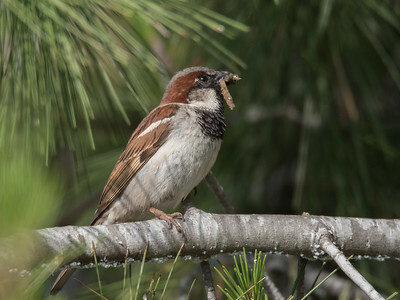 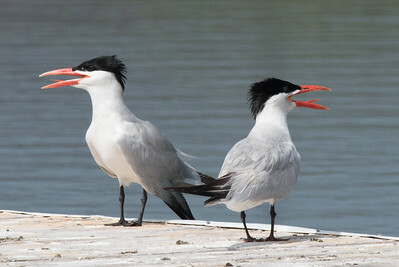 When an adult returned with a fish it would call, and wait for its chick to identify itself by calling back. 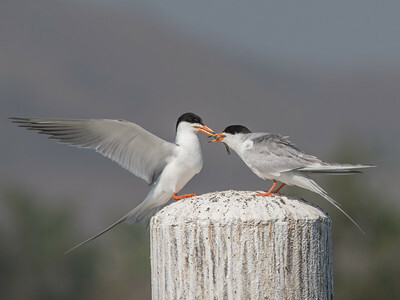 Forster's Tern feeding its grown chick. 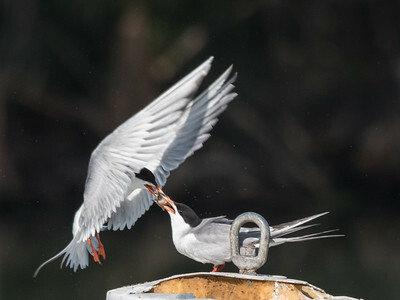 Forster's Tern taking off after feeding its grown chick. 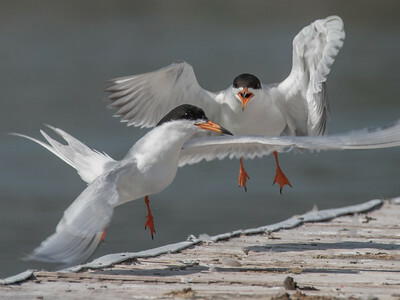 Forster's Tern grown chick chasing an adult. 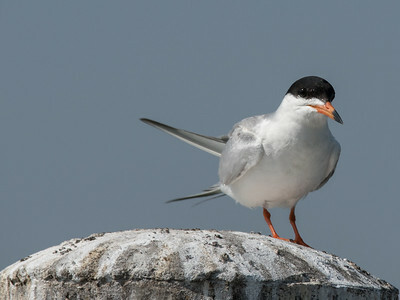 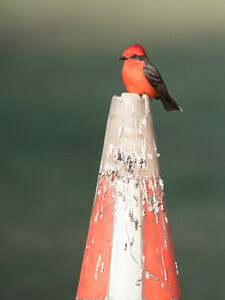 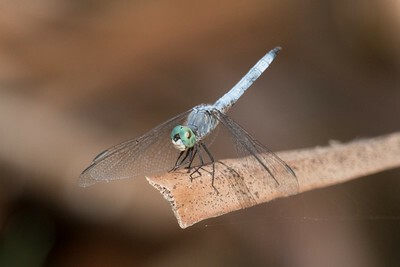 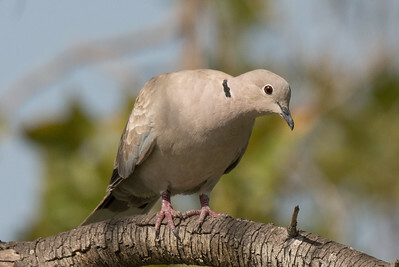 Beautiful birds are usually photographed in beautiful perches, but more often they seem to be on a perch like this. 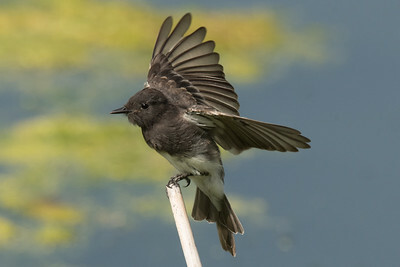 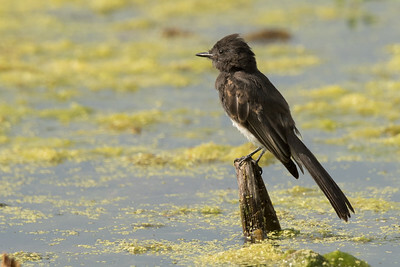 Black Phoebe landing on a stalk. 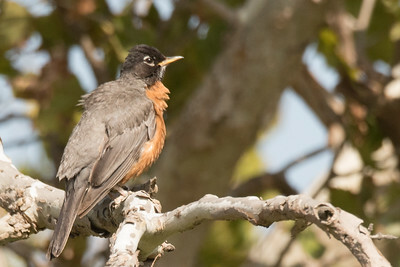 American Robin appearing to be enjoying the sun's warmth. 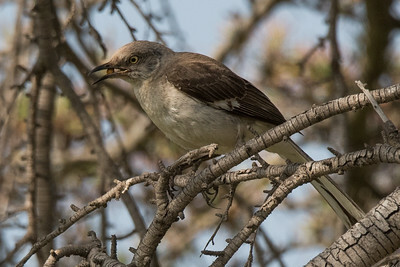 Northern Mockingbird eating a berry. 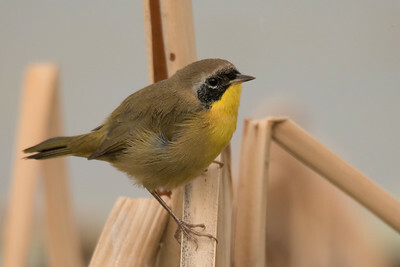 Common Yellow Throat fledged chick in the bulrushes. 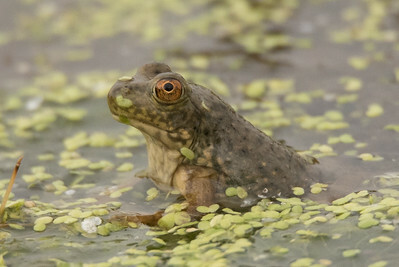 Young (small) American Bullfrog sitting in the shallows of the lake.